Thank you to everyone who entered our last C&S Style challenge. It was amazing to see all your C&S designs. 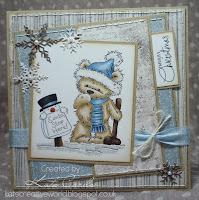 with a prize of 2 of Tammy Louise's fabulous templates. You MUST explain WHY it is your style. Well, where do I start!! My favourite LOTV character - I couldn't resist the latest set featuring James the bear and this is my first play with one of the newly released images. I've taken the trouble (in honour of James the bear) to paint him with my DI reinkers rather than reaching for my Copics. Shapes - a lovely fancy nestie shape (for the image) and a shaped card. Embellishments - Pearls are my 'go to' embellishments, and a must have on all my creations. Colour coordinated elements - Everything is in various shades of purple and lilac, including an element of the image where I sneaked on a spot of purple on the daisies. Yup, this is just my style!!! Hope you like it too. ps - I've just realised that another reason this is 'my style' is that, as is quite common on my cards, I've forgotten to put a sentiment on it. At least it keeps it appropriate for any occasion! Ohhhh, What is my style? 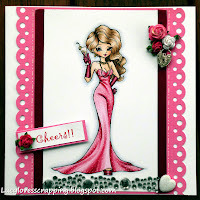 I love die cuts, kraft, distress inks, punches. And if I am not sewing, then I am doodling. My style: I must say I have a few, but I really enjoy making things with pretty papers and cute images, especially girly cute. I love the Vintage style and making my own flowers, and there has to be a swirl and pearls in there somewhere! 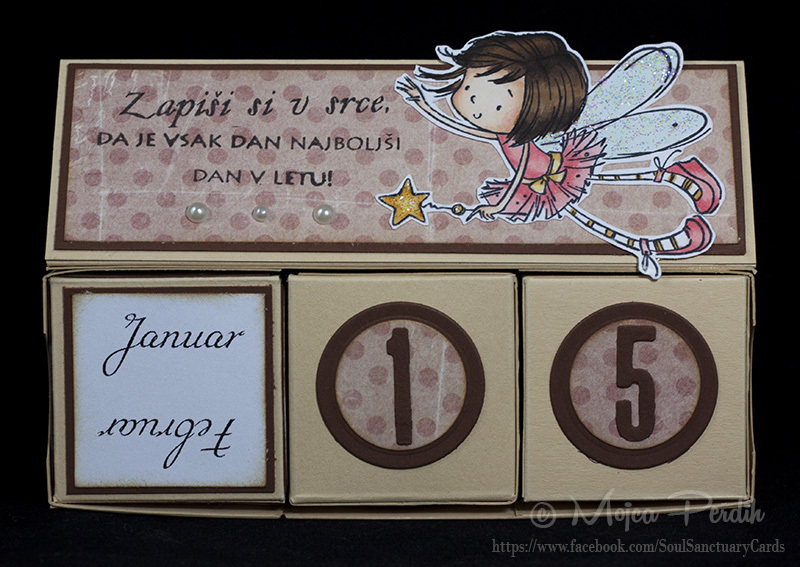 I love 3D projects and this cute calendar is totally my style! My "style" is really hard to define. I don't generally add many embellishments as I am always mindful of postal charges so not fussy and fancy. CAS? Nope, I LOVE patterned paper far too much and I love colouring my images to match. Definitely not vintage, I just can't "do" it!! Cute then? Possibly as my images tend to lean toward cuteness. I know...my style is simply "me"!! 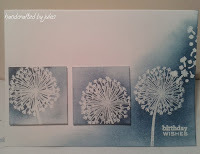 I don't have one particular style but I do love soft colours, and so this is a perfect shape card to show that off. I love lace and flowers and anything cute really. your Favourite fav C&S design (either one you have seen, or one you made before and want to make again cause you love it). Well, I'm not a C&S natural, but I used this layout loads for Christmas cards (using the Frostyville border die) and really enjoyed it. It's easy to make, still has some interest with the die cut and ribbon (I used twine too in previous versions), but is also fairly flat for posting! Some previous versions didn't use a die cut border at all, but this is definitely my favourite style. For today's birthday version I've used a Nottingham border die, which I've recently fallen in love with. certainly top of the list I LOVE the snowflake die and I love sewing on cards and the papers are New MME so I think that this will be a card that I make quite a few of nice and simple. C&S cards have grown on me over the past year, getting to like the simplicity look more and more. Great when Mr Mojo is a bit flat as it helps me get back on track. Love using flowers in my C&S cards. I saw this cut C&S card somewhere on the internet and had it in mind for some time now and finally decided to try it out myself. I love the shading and I think it gives it a really special look. I "dabble" at CAS but don't really have a favourite sketch that I go back to time and time again. I sort of "wing it" and that's what I've done on this occasion!! (either one you have seen, or one you made before and want to make again cause you love it). 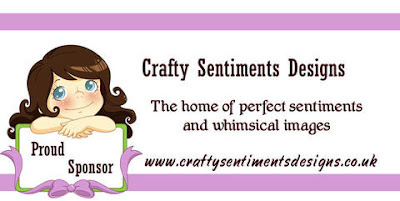 I love the image, and have just purchased a few from Purple Onion Designs myself as I could not resist the cuties there. Another of my favourite images from 2013, and BEAUTIFULLY coloured. your Favourite Single Colour as your main focus colour. It's no choice for me, it's gotta be pink all the way! my pink embellishment pot is the one that's always bursting with 'stuff'. cards in blue and green.. however I use brown an awful lot and I LOVE kraft which is brown and also bears, mice and lots of animals in shades of brown, so brown is my favourite colour in crafting. Well i love Kraft card especially teamed up with Cream and Lace. Decided on making the embellishments all Kraft this time for a change. Love my look! Well mine has to be brown. I don't know why, but I almost always use brown on my cards, as a background paper so the other colours pop out. I wouldn't shout "blue" if asked what my favourite single colour is BUT as they are the most regularly replaced Promarkers in my collection and appear on cards more often than any other colour then so be it!! Aqua/turquoise tones always go well with other colours as accents such as red, brown and peach tones. showcase your Favourite Single Colour as your main focus colour.